Good Morning Starshine, the earth says hello. 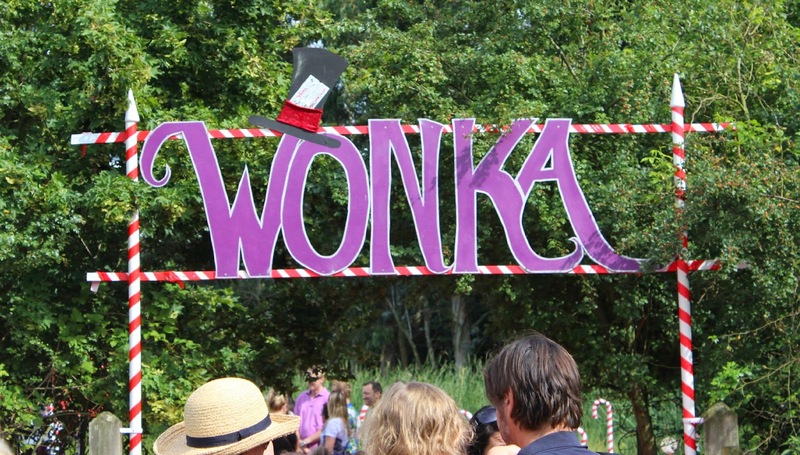 You may or may not have seen my tweets on this, but as a birthday treat me and my friend Gareth made our way to Essex with our Golden ticket in hand (ok computer print out in hand) to visit the wonderful world of Willy Wonka. I'm a huge fan of pretty much all of Roald Dahl's books but Charlie and the Chocolate Factory has to be one of my absolute favourites so when I heard there was a walkthrough experience (probably more aimed at kids) I couldn't pass it up and managed to convince Gareth it might be a laugh at least! 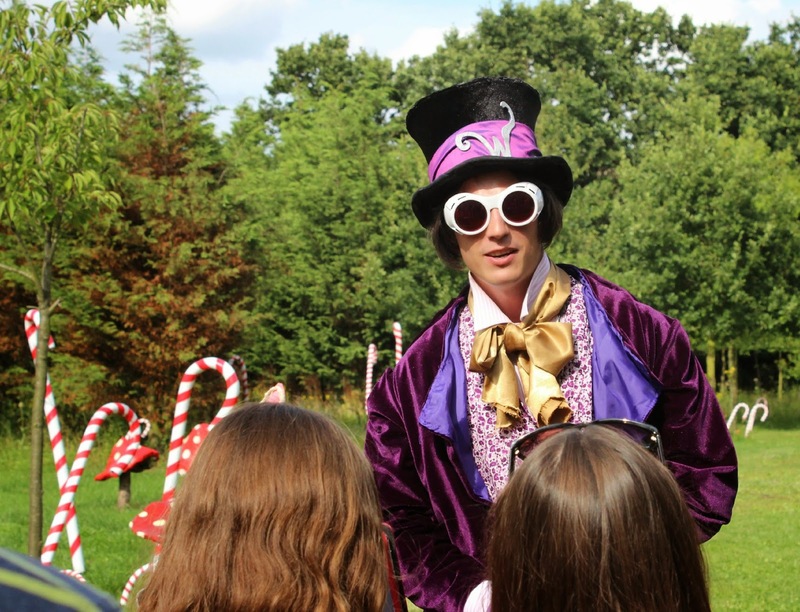 You enter the experience under the guidance of the suitably eccentric Willy Wonka himself and to the tune of "Pure Imagination" just like in the film. The children in our group were literally hanging on his every word, as far as they were concerned he was the real deal and they were somewhere truly magical. I learnt about candy canes and how the baby ones grow super curly and then grow upwards as they get older leaving only the small curl at the top. I also saw a lake full of lime soda, lot's of lollipops and candies, unfortunately not edible though! The experience is very interactive, you go through a maze of mini scenarios such as a girl stuck in a tube, a bratty one that wants a golden goose egg and an American girl that is shrunk and stuck inside a television. 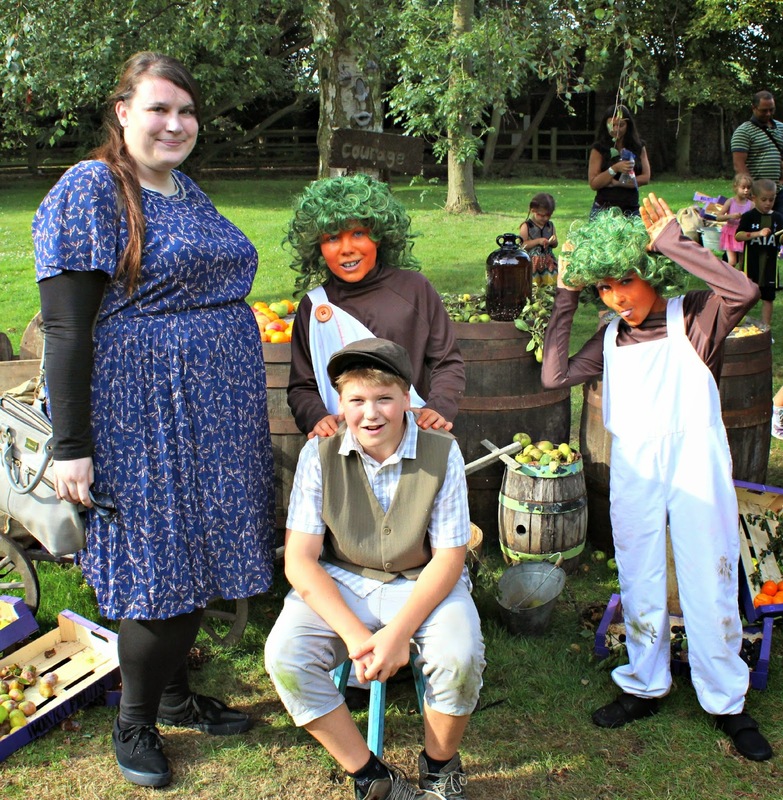 The common theme being that we need to find Charlie in order to fix these problems also with the aid of some very mischievous oompa loompas. The whole thing was really quite fun, even as an adult, our whole group was really immersed in the experience and laughing pretty much the entire way through. 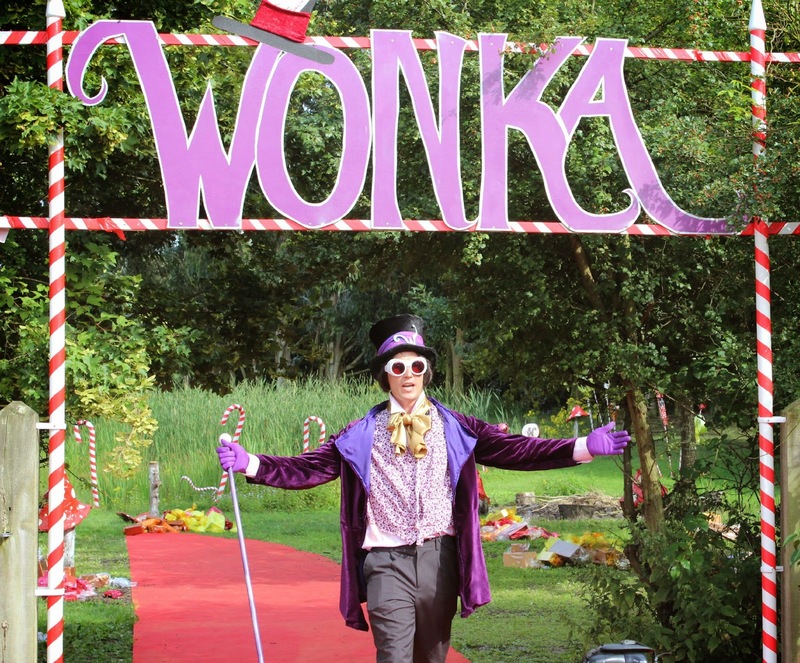 Especially at these ridiculous hats for the Wonka Vision scene, which served a practical purpose against a low ceiling but provided comedic value in equal measure. The experience culminated as we found Charlie with his "attrifruits" and all of the problems in the earlier scenarios were resolved. Result! Afterwards we had a few hours in nearby Southend before going back home and demolishing 2 large Dominos pizzas (between us, not each) which were just epic! I hope you enjoyed this post, I had a great birthday and for those of you wondering, my dress is from the Claire Richards range at Fashion World. That looks super fun, wish I could go one day! This is a different way to spend a day! Looks like you had a blast! Wow - looks like great fun!